At Platinum Physio, our aim is to work with you so you can to stay active and healthy for life! Interval Pilates 1:8 combining cardio exercise, muscle conditioning and pilates in a group class. Circuit Pilates 1:8 higher level pilates and exercises for building strong bones. Mobile Pilates – our experienced Physiotherapists can run group mat Pilates sessions at your school, workplace or sporting club. Platinum Pilates is a Physio-supervised exercise approach to help you strengthen your core and improve body awareness, muscle balance, movement control, strength and flexibility. Platinum Pilates will help you achieve peak performance across a range of sports and daily activities, without stressing your joints. Because you deserve the very best care. Our Brighton & Windsor Pilates is a combination of traditional and clinical Pilates. The foundation of our approach is based on current Australian Physiotherapy research into retraining core strength, spinal stability and exercise rehabilitation. Recent studies from the University of Melbourne confirmed that Physio-supervised Pilates is a safe, highly effective method of exercise for the treatment and prevention of chronic lower back pain. Pilates is the preferred method for targeting vital core muscles, particularly around the spine, hips, buttock and shoulder. 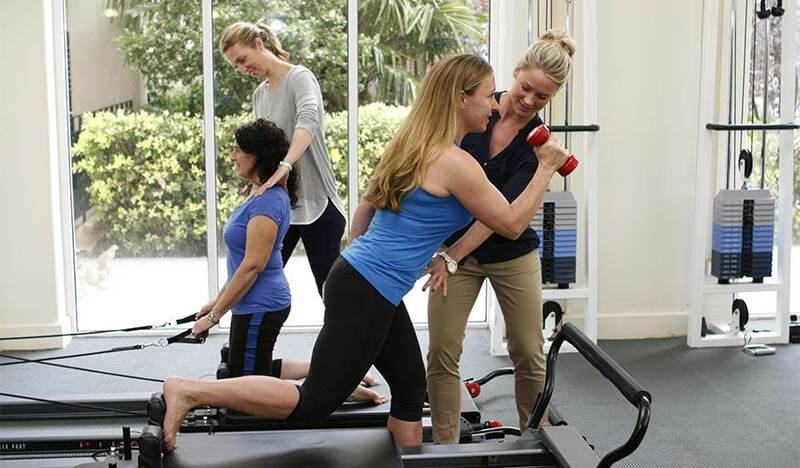 Platinum Physiotherapists combine professional training, experience and an holistic approach with the principles of Pilates, to guide you through a tailored exercise program, challenging you to achieve your personal goals. Contact us at our Windsor Pilates or clinical Pilates Brighton studios today. Pilates suits almost everyone. Whether you rarely exercise, are a weekend warrior or an elite athlete, participating in a Pilates program will significantly benefit you!